A fashion label founded by Swedish textile designer Karin Kock, Sunbird makes garments with organic cotton & linen that’ve been sourced directly from handloom weavers in India. We’re big advocates of the ‘less is more’ phenomenon. And now that the summer is quickly approaching with the promise of searing, prickling heat, we believe everyone should adopt this way of living, give the figure hugging T-shirts and skinny jeans a miss and go for an easier, more comfortable style of dressing. 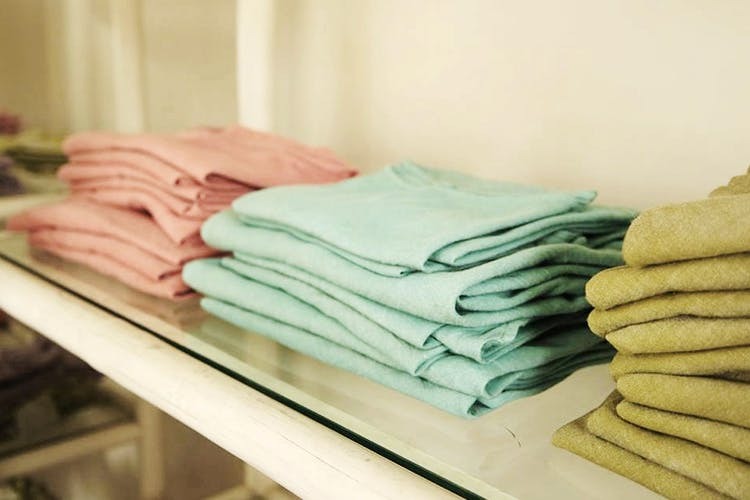 And you can’t do any better than organic cotton and linen when it comes to breathable fabric, perfect for the summers. Sunbird makes use of just those fabrics to bring you a line of clothing that promises to make your summer wardrobe super easy on the eyes. If you’re expecting patterns and prints here, don’t. This one’s all about solid colours in soft, soothing shades of lavender, grey, lime, peach, teal, and ivory. You’ll find midi and maxi dresses, wrap tops, tunics, shirts, and more in loose, flowy silhouettes. They use 100 per cent cotton & linen that are sourced directly from women weavers in south India and prefer to work with natural dyes as much as possible. Each garment in hand cut and stitched from start to finish by their one trusty tailor and honestly, worth making space for in your wardrobe.